Krista Geneviève Lynes, Prismatic Media, Transnational Circuits: Feminism in a Globalized Present. New York: Palgrave Macmillan, 2012. What are the political and aesthetic dimensions of video art, documentary, and global cinema in contemporary image culture? In her first book, Krista Geneviève Lynes makes visible how sites of political struggle, exploitation, and armed conflict can be theorized and interpreted through a feminist politics of location, attentive to the frictions and flows within transnational circuits of exchange. 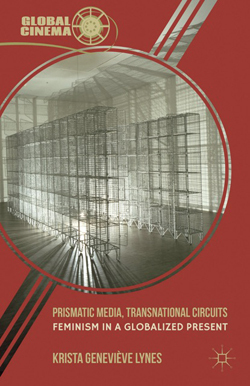 Prismatic Media, Transnational Circuits traces how formal modes of experimentation provide prismatic visions of sites of political struggle - multiple, mediated points of view - and thus open space for complex and emancipatory relations among cultural producers, activists, and viewers in a globalized present.